These projects use digital technologies to better understand the battle, bringing new insights to this century old event. Explore these projects by clicking on the buttons below. 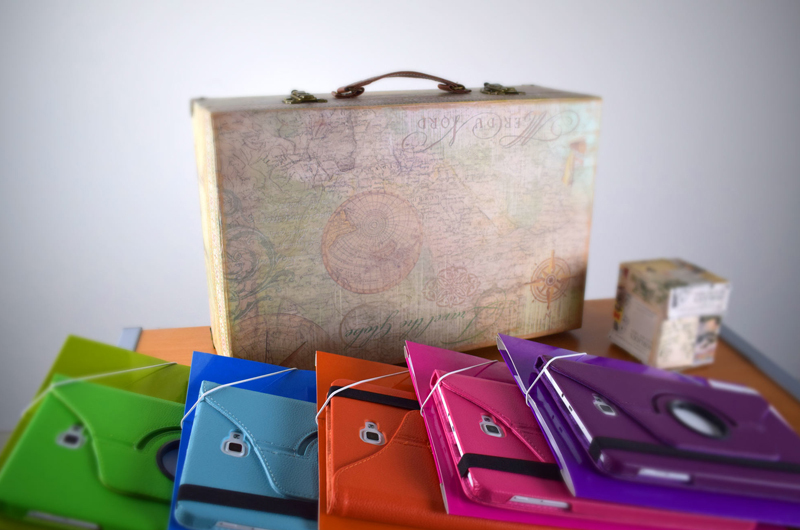 History in a Box is a novel classroom and museum experience integrating technology into history instruction and learning. Dive into the Easter Rising of 1916 through different modalities of primary sources, Augmented Reality and 3D printed buildings. 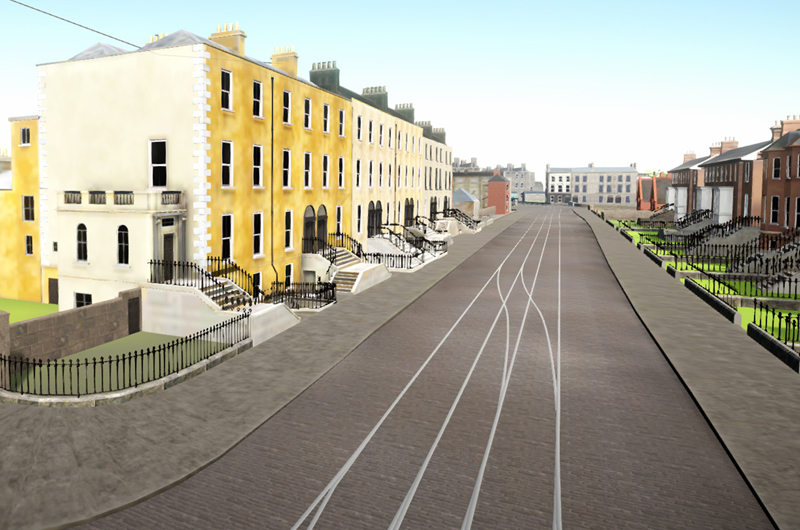 The Virtual World is simulation which allows its users to view the area of the Battle Of Mount Street Bridge from various vintage points and explore the spatial relationships of the real world in a virtual simulation of the Mount Street in 1916. 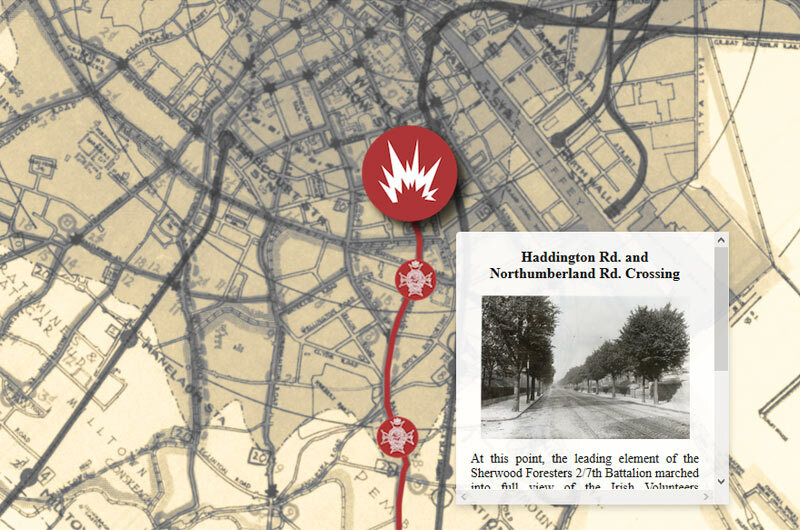 The March of Sherwood Foresters is an interactive map that shows the route of the Sherwood Foresters — key actors in the Battle of Mount Street Bridge — from the point where they landed in Dublin to the point where they were first fired upon. Explore the Easter Rising of 1916 through our Digital Projects! Contact us to experience them live or to adopt them in your teaching at educatesfi@gmail.com!